Hello Dealsnloot Readers,Script to Buy Le 1s Eco : So are you thinking to buy a smartphone which not only suits your budget but also fulfills your tech needs ? LeEco le 1s eco is another full fledged smartphone which is launched by Chinese company known as letv or LeEco with full feature and it is one of the best smartphone in the range of 10 k. In a day of competition of smartphones LeEco has Launched a smartphone Named leEco Le 1s Eco which is currently available only on flipkart flash sale. 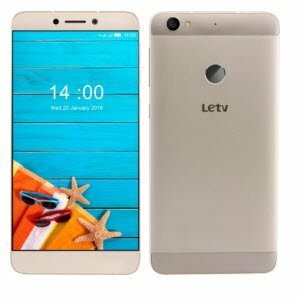 You have to register for flash sale first.Earlier Letv has launched le 1s which is very successful phone which flipkart has sold more than 70000 phone according to flipkart source.Now its time to buy le eco le 1s eco (32 gb) whose price is 9999 INR .It has The smartphones which is most feature packed with stunning low prices, But 1 problem is its coming as flash sale on flipkart. So Use This Script And Buy Letv Le Eco 1s. Extra 10% cashback with Citi Bank Debit or Credit cards. The Offer is valid from May 25, 2016 (00:00 Hours) to May 27, 2016 (23:59 Hours), (Offer Period). Offer is applicable on a minimum transaction amount of INR 5999. Offer is not applicable on purchase of EGV. Offer not applicable on Samsung S7|S7 Edge and LG G5 devices. This offer is valid for maximum cashback of INR 2000 per card during the offer period. Click Here to Register for Le 1s (Eco) Flash Sale. You need to register for the sale before going for buying procedure. Click on Register Now button after going to the link. Synchronize your system time with Internet. Right click on Time (present at bottom right corner) -> Click on Adjust date / time - > In the popup window click on Internet Time and then click on Change Settings -> Tick mark on Synchronize with an Internet Time Server and click on Update Now. Finally click on Ok.